Gross sees a 50-50 chance the Fed will raise rates on Sept. 17, with China and global conditions being the dominant factor. Heading into the Labor Day weekend, Labor Secretary Tom Perez said that the August jobs report, released Friday, shows the “strong and steady recovery of the U.S. economy” as the nation added 173,000 new jobs, with the August unemployment rate at 5.1%, down from 6.1% a year ago. The Friday jobs report will be the last one Federal Reserve Board officials will see before they meet later this month to debate a potential interest rate hike. 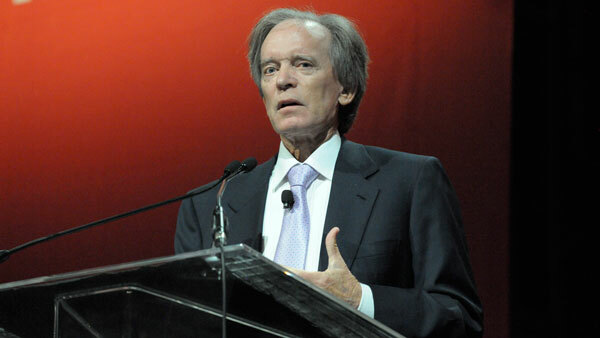 Janus fund manager Bill Gross told Bloomberg Radio Friday morning as the jobs report was released that he sees a “50-50” chance that the Fed will raise rates on Sept. 17, with “China and global conditions” being the “dominant factor” if a rate hike occurs. Brad McMillan, chief investment officer of Commonwealth Financial Network, noted in his Friday commentary that while jobs increased by 173,000, that was below the expected 217,000 level and down from the prior month’s estimated increase of 215,000. July’s jobs gains, however, were revised up from the initial estimate of 215,000 to 245,000, and June was revised up by 14,000 — more than making up for the shortfall this month, McMillan said. Also, while the unemployment rate dropping to 5.1% from 5.3% is good, “the problem is that it dropped because people left the labor force, which is bad,” he added. The Friday jobs report comes a few days before Congress gets back to work on Tuesday. First up for lawmakers will be hashing over appropriations bills and averting a government shutdown. Rep. Chris Van Hollen of Maryland, ranking member of the House Budget Committee, noted that while 5.1% unemployment “is the latest evidence of how far we have come since the depths of the recession,” it also shows “how much we have to lose if the GOP causes another self-inflicted wound to our economy by shutting down the government over women’s health care” by defunding Planned Parenthood.